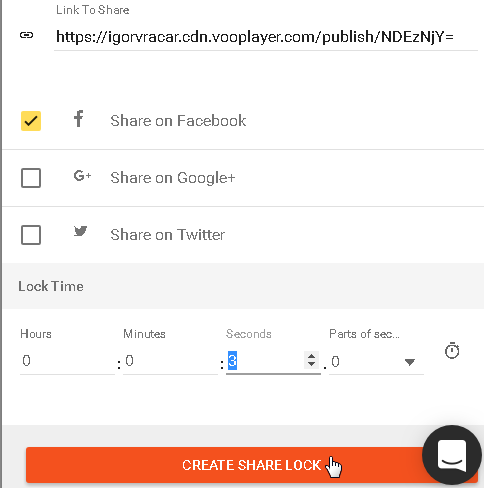 Share Gate is a lock that will allow you to lock your video content and allow further access only to those viewers who share your video online. 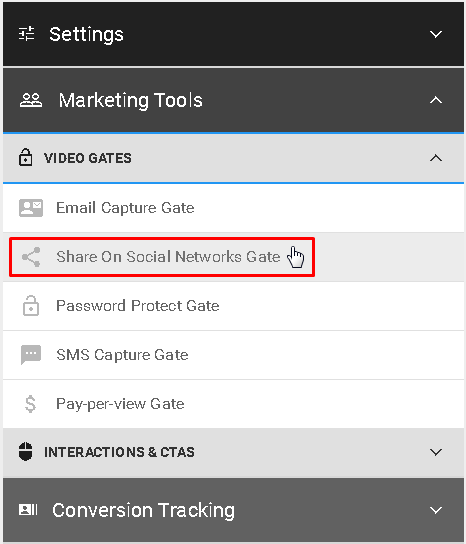 This feature is located in Marketing Tools under VIDEO GATES. This will open more advanced settings. 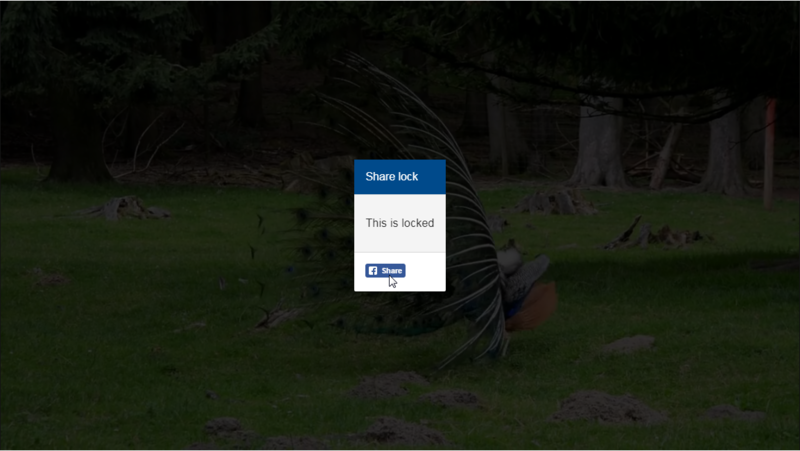 On the LOCK DETAILS tab you'll be able to edit displaying text, add the link that's going to be shared and choose on which Social Media sites. Also you will choose at which time does this lock show up. 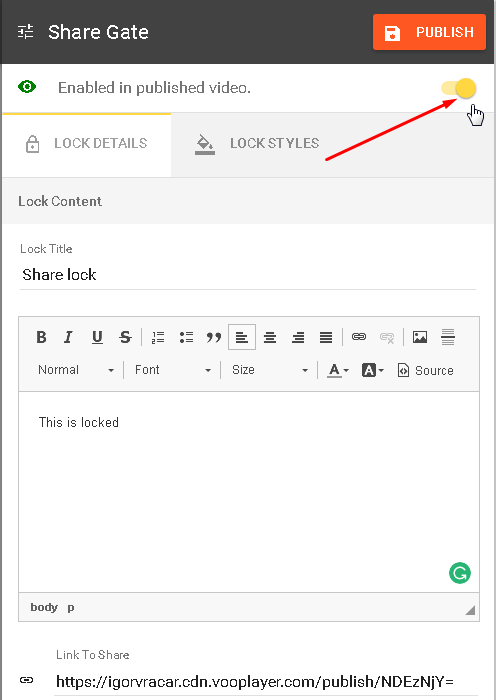 Switching to the Lock Styles tab will allow you to customize your lock a bit more by changing its style and appearance.